We specialize in 100% pure-bred Siberian cats and kittens. 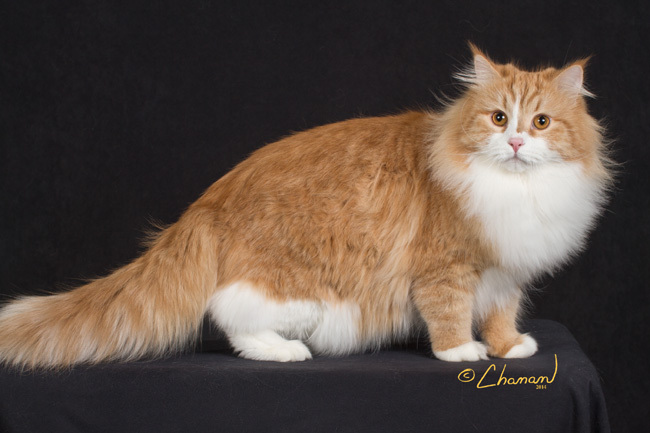 We are dedicated to producing the best in health, type and personality of the Siberian cats. To accomplish this we have done extensive research before purchasing kittens for our breeding program. We have spent a lot of time on researching pedigrees, bloodlines, browsing websites, and taking trips to Moscow to ensure our cats meet a very high standard for type and temperament. Spending a lot of money on only importing the best of the best, and then spending years and years putting all those lines together to create our own lines, trying to figure out what lines to put together to get the type of Siberians that are the closest to the natural look of their Russian ancestors. After we put in all our hard work on trying to produce really good type Siberians, we bring them to CFA shows to have them judged. Showing your cats and kittens means you are committed and dedication to maintain the natural beauty and integrity of our breed. It is extremely costly and time consuming. We show most of our Siberians in the kitten class to ensure they are good enough to compete with the best of them. If they tolerate showing, we show them as adults in the champion class where they must prove they are good enough to become a Grand Champion, which is a difficult process in CFA. Our Siberians have earned or produced the CFA National Breed Award six years since the Siberians have been accepted in the Championship class since 2007. 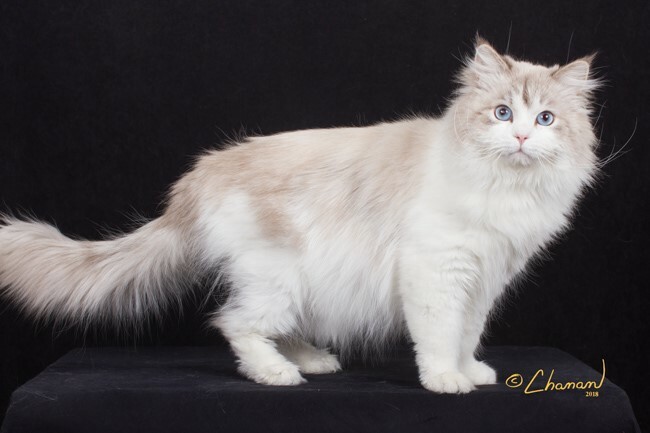 We show on a very regular basis, and our cats have produced many Grand Champions and award winning Siberian cats and kittens that we are all very proud of and are the result of years of hard work. We continue to keep striving for the best. currently has 180 grand points! GC RW BW Sineglazka It's Still Rock and Roll 2 Me AKA "Billy"
GP RW Sineglazka "Oh, What a night" AKA "Fabio"